President Bush and the neo-conservatives have argued for some time for waterboarding and intelligence techniques to elicit information from detainees. The argument Bush uses is very similar to the following: we’ve got to give intelligence experts the tools they need in order to extract information to prevent terrorist attacks. “The bill Congress sent me would take away one of the most valuable tools in the war on terror,” Bush said in one of his weekly radio addresses in March. Bush then proceeded to veto the bill. The real value to Bush of these techniques is that they make him appear tough on terror. The administration has never come forward with any proof that these techniques actually work. Any time anyone asks, the answer you’re likely to hear is that’s classified information or that they can’t release any information that might help the terrorists. How convenient. 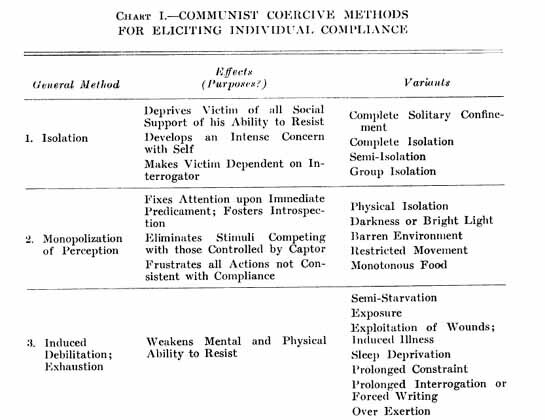 This past week, however, Republican terror marketing took a real blow when it was revealed that interrogation trainers at Guantanamo used the same techniques as the Chinese Communists during the Korean War. Here’s the marketing message of the administration: we’re giving intelligence experts the tools they need to collect intelligence. 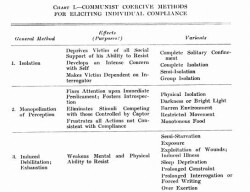 Here’s the reality: we’re using torture techniques of the Chinese communists designed to elicit false confessions. When the Chinese did it in the Korean War, it was torture and we said that our servicemen were “brainwashed” to say things that were not true. Now that we’re using the program it’s a vital tool in the war on terror that gives us accurate intelligence. The Republican terror marketing campaign is showing cracks from the strain of holding back the truth.